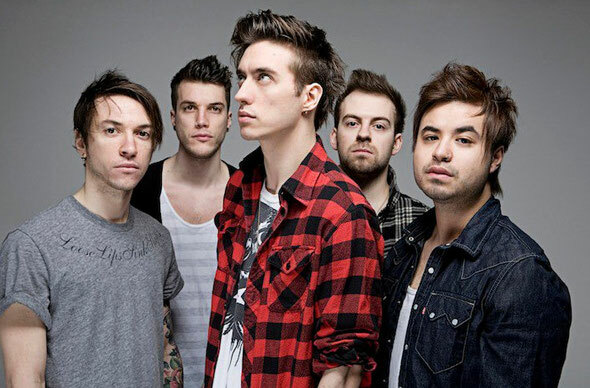 Young Guns recently announced their first headline tour of 2012 and their first in support of forthcoming second album, ‘Bones’. Written over a number of months everywhere from Thailand to Spain to a shed in the band's hometown of High Wycombe, 'Bones' (recorded at Karma Sound Studio in Bang Saray, Thailand and subsequently mastered to tape) marks Young Guns' transition from a band packed with potential to possible bonafide contenders. It's a stirring album full of contradictions – it speaks of strength and vulnerability, friendship and loss, energetic youth and heavy-hearted experience – that proudly displays Wood, John Taylor (guitar), Fraser Taylor (guitar), Simon Mitchell (bass) and Ben Jolliffe (drums)'s skyscraping vision, and in some style. 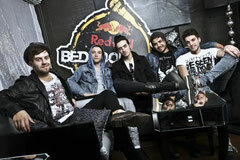 Having formed from the ashes of a variety of local bands, Young Guns' first release was the striking 'Mirrors' EP in June 2009. But it wasn't until debut album 'All Our Kings Are Dead', unveiled in July 2010, that they began to really show what they were capable of. Backed by a groundswell of popular support, the band hit magazine covers, headlined the HMV Forum in London, toured Australia and played the Main Stage at Reading and Leeds Festivals.